Your home’s sewer system is responsible for removing waste and waste water from your home. Unlike the other systems in your home, there’s no way to turn off your sewage system, and because they run constantly, problems commonly develop in sewer lines. At GT Campbell, we offer a full range of sewer repair services. From maintenance to help you avoid future problems to 24/7 emergency service when disaster strikes, we are your source for sewer repair in Macedon NY and the surrounding areas. 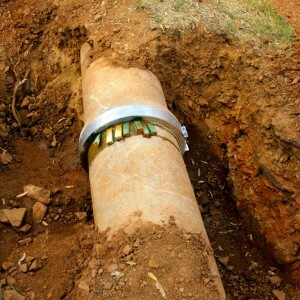 When your sewer line fails, you need help from a professional you can depend on. We have been serving the area for more than a decade, and we make sure all of our technicians have the knowledge and training to get the job done right. When there’s a problem with your sewer system, you need to have it repaired right away. Whether you have a clogged sewer line, a broken line or any other type of problem, we offer effective and affordable solutions. From sewer cleaning to trenchless sewer repair, traditional sewer repair and more, we offer the services you need to get your sewer back in good working order as quickly as possible. Properly maintaining your sewer is the only way to prevent costly and disgusting breakdowns. We recommend having your sewer inspected, cleaned and serviced once every year or two. Keeping up with maintenance allows you to prevent major blockages and find out about minor problems before they turn into disasters. When you need any type of sewer maintenance or sewer repair in Macedon NY and the surrounding areas, you can depend on the professional Macedon plumbers here at GT Campbell Plumbing. Whether you’re in need of annual maintenance or emergency service, let our expert technicians help. For sewer service in the Macedon, New York area, call your trusted plumber in Macedon NY at today!